Sire of Several Futurity Winners from small foal crops. 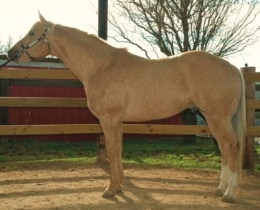 Sire of Color Breed Congress Reserve Champion Palomino Weanling Stallion - 2016. Foals are proving to look good and make Riders when they grow up.